This post is authored by Tyler Short, Sustainable Agriculture Louisville. This post is part one in a three part series. The U.S. Food Sovereignty Alliance (USFSA) will honor the domestic and international recipients of the 2018 Food Sovereignty Prize – Black Mesa Water Coalition and Organización Boricuá de Agricultura Ecológica de Puerto Rico – at the IV National Membership Assembly in Bellingham, WA (October 12–15). The public award ceremony will occur in the evening of Sunday, October 14. Please register for the event here by Friday, October 5, or follow the USFSA’ Facebook page for a link to the livestream of the ceremony. Leading up to the IV Assembly, I would like to highlight how the honorees apply the conceptual framework of Just Transition to their grassroots processes aimed at asserting democratic control over food and energy systems. I also hope to illuminate their participation in Climate Justice Alliance. In this first post of a three-part series, I will examine the meaning of Just Transition and provide an overview of how Climate Justice Alliance incorporates regenerative economics into its strategic mission. Part Two will outline the history of Black Mesa Water Coalition and their current programmatic work to realize a Just Transition in the Southwest. Part Three will focus on the efforts of Organización Boricuá de Agricultura Ecológica de Puerto Rico in the struggle for a Just Recovery following Hurricane Maria, which struck the Caribbean in September 2017. Climate Justice Alliance (CJA) recently co-organized the Solidarity to Solutions Week (Sol2Sol; September 7–13) in Bay Area Ohlone territories alongside It Takes Roots partners from Grassroots Global Justice Alliance, Right to the City, and the Indigenous Environmental Network (IEN). Local organizations – such as Idle No More SF Bay, Urban Tilth, PODER, and the Asian Pacific Environmental Network – played vital roles in planning and leading the events. I attended Sol2Sol as a CJA delegate representing the USFSA. During the week, hundreds of It Takes Roots delegates engaged in membership encuentros (encounters), local tours, and direct actions including street theatre, chants, speeches, and blockades outside of the Governors’ Climate and Forests Task Force meeting and Global Climate Action Summit (GCAS). It Takes Roots organized a contingent near the front of the March for Climate, Jobs, and Justice. The Sol2Sol Summit at La Raza Park provided space for It Takes Roots members to further amplify their visionary, community-led solutions to socio-ecological crises around the world. These were presented in opposition to corporate-driven false ‘solutions’ – for example: genetically-modified foods, carbon trading schemes like REDD+, and geoengineering – promoted by GCAS leaders. The four grassroots solutions advocated by It Takes Roots included: Just Transition; food sovereignty; energy democracy; and zero waste. The figure below offers a visualization of a Just Transition. On the left, the Extractive Economy is characterized by militaristic governance, the dig-burn-dump process of exploiting sources of life, consumerist and colonial mindsets, and the enclosure of power and wealth into the hands of a few. 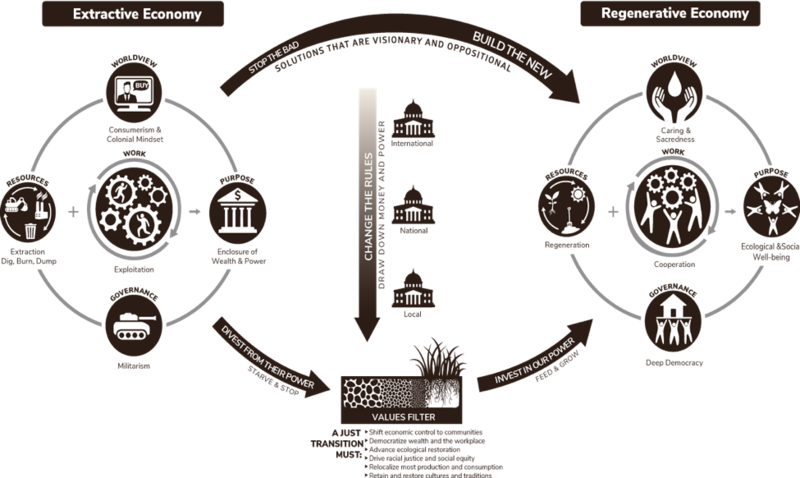 On the right, the Regenerative Economy entails deep democratic governance, the regeneration of ecosystems, a worldview of caring and sacredness, and the purpose of attaining social and ecological wellbeing. Stopping the bad and building the new require strategic actions that range from policy-making to the enhancement of workplace democracy. 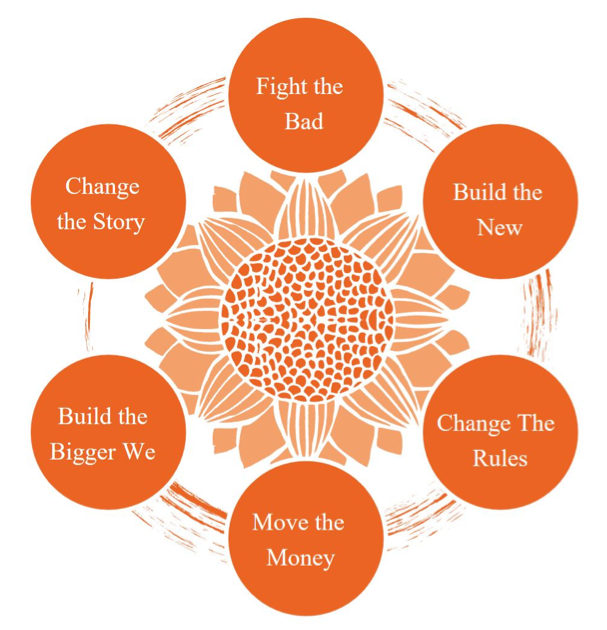 A Strategic Framework for a Just Transition. Source: Movement Generation’s zine From Banks and Tanks to Cooperation and Caring. Trade unions and environmental justice organizations developed the concept of Just Transition about twenty years ago, merging labor and social movement theory with practice rooted within low-income and marginalized communities. In the context of discontinuing harmful economic activity, Just Transition originally centered on the need for workers of polluting industries to secure safe, dignified employment in the new, green economies. Just Transition advocates have prioritized reparations to the peoples residing in sacrifice zones who most directly face the social and environmental costs of profit-driven extraction, such as forced displacement, pollution, and systemic poverty. As demonstrated by the Just Transition Alliance, coalition-building between workers, frontline communities, and fence-line communities has been fundamental to advancing a fair shift toward peaceful, healthy societies premised on respect for human rights and the rights of Mother Earth. 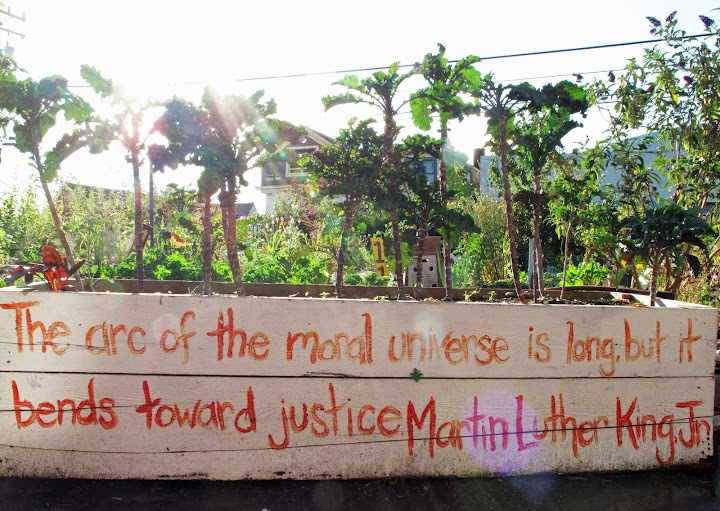 After three years of deciding on a structure and vision, Climate Justice Alliance (CJA) launched in 2013 as a multi-racial, multi-sector coalition of nearly forty base-building frontline organizations and movement-support organizations dedicated to overcoming the root causes of climate change. Since then, their membership has increased to a total of sixty-seven participating organizations, alliances, and networks. In the Alliance’s earlier years, members mostly devoted their energies into the Our Power Campaign, a national and broad-based social force constituted by Our Power Communities. Members of the Our Power Campaign have engaged in research, political education, camp-style gatherings, and mass mobilizations with the common goal of ensuring that workers and frontline communities participate as primary stakeholders in policy-making and governance at all levels. The campaign’s main goals have revolved around uniting geographically-dispersed activists and collectively cultivating translocal strategies for the activation of fundamental, justice-centered shifts from extractive economies to localized, regenerative modes of production and distribution. In the Our Power Plan: Charting a Path to Climate Justice (2015), CJA et al. affirms that the solutions needed to end the era of extreme energy arise from the resourcefulness, innovation, creativity, and determination of environmental justice communities, many of which interconnect due to histories of racialized and class-based oppression as well as legacies of successful organizing in defense of Mother Earth and communitarian values. CJA leaders underscore the imperative to enact comprehensive approaches that immediately stop pollution at source and uplift grassroots leadership. The Alliance’s strategic plan advocates for: renewable energy; clean water; agroecological food and fiber systems; durable housing; healthcare; public transportation; and zero waste. The steering committee of the Our Power Campaign identified Black Mesa, AZ, Detroit, MI and Richmond, CA as the pilot Hot Spots. Black Mesa Water Coalition anchored Our Power in Arizona. The Coalition hosted a training camp in 2013 for participants of the nascent collaboration to share skills and knowledge. The Ruckus Society assisted with the creation of action plans that expanded from past victories of Our Power members, and the Center for Story-based Strategy supported CJA to craft a grassroots narrative in the climate debate that communicates irresistible ideas about generating “power without pollution and energy without injustice.” By means of the Our Power Campaign, CJA has ultimately intended to establish a basis for federal legislation via Just Transition policy work at the local and state levels. For Part Two of this blog series, I will shed light on how Black Mesa Water Coalition has advanced a Just Transition among Navajo and Hopi communities. In particular, I will provide examples of popular education pertaining to food sovereignty and legal victories that further their energy democracy agenda. 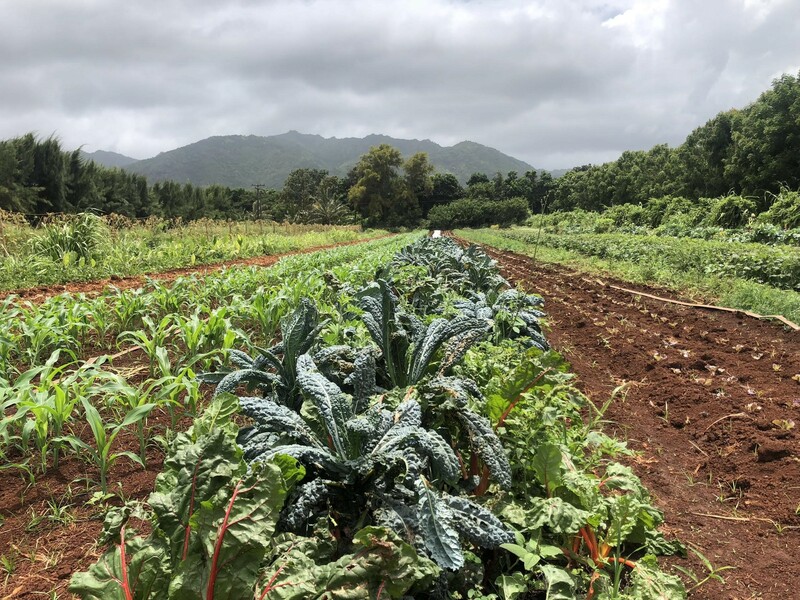 The third part of this series will describe and analyze the Food Sovereignty Brigades mobilized by Organización Boricuá de Agricultura Ecológica de Puerto Rico in the aftermath of Hurricane Maria. This post was updated on October 4 to clarify the difference between CJA’s Our Power Campaign and their working group project titled Reinvest in Our Power, which began more recently, functioning as part of the Reinvest in Our Power Network. This entry was posted in Corporations & Policies, Food Sovereignty, Indigenous Sovereignty, Labor & Trade, Local Food & Farming, Popular Education and tagged Just Transition, National Assembly, Tyler Short. Bookmark the permalink.